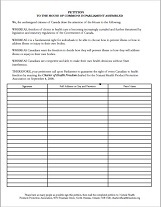 If you were not able to make it to the Total Health Show in person earlier this year, and for those of you throughout Canada, this page includes all of NHPPA’s latest handouts to download, read and share with your colleagues, family and friends. A key focus at our booth this year was the MPP Action Kit for Raw Milk Food Freedom that was prepared to help educate people on what this means to all of us. 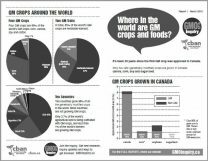 This kit provides citizens with a package, including a letter and background information, they can send to their local MPP to draw attention to these issues and to help in the fight for food freedom in Ontario. Shawn Buckley’s Total Health Show lecture times were transferred to Michael Schmidt, to keep the lecture content as close as possible to Shawn’s intended presentation. Shawn was unable to attend as he was defending clients, David and Collet Stephan in Lethbridge, Alberta. There has been much misinformation spread throughout mainstream media about the events that lead to Ezeikel’s death, and ultimately what led to the parent’s conviction. For insight into the daily courtroom happenings read the website dedicated to this trial at Stand 4 Truth. Daily entries were reported on by NHPPA’s Vice President, Ian Stewart. 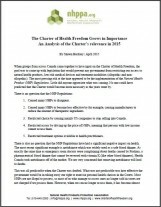 A complete copy of the blog up until the Total Health Show was provided as a handout at the show, see below. 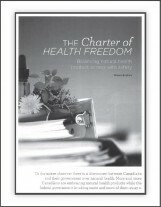 Michael Schmidt discussed the content of Shawn’s planned lecture from his own perspective, which includes Shawn`s legal frame of reference: “Protect Your Basic Rights to Make Food Choices”. He shared the almost unbelievable truth about his fight for food freedom, the real story behind the sheep napping saga and how one can be prosecuted for being the subject of unlawful surveillance, just as Michael has. Michael and others are already facing obstruct charges for allegedly trying to protect their food. He talked about risks you face, including criminal charges, simply by trying to protect your basic rights. A recording of Michael’s talk is posted below. 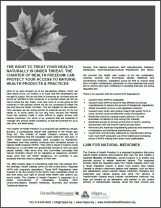 The NHPPA-produced Censorship Compendium features prominent natural health advocates and thought leaders. NHPPA sought out these experts to develop a collection of original writings on censorship as it relates to our healthcare system and regulations, food safety and the withholding of information ‘for our protection’ that we need to make informed and constitutionally protected decisions. 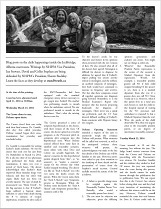 Find original submissions by Shawn Buckley, Dr. Zoltan Rona, Helke Ferrie, Montana Jones, Deane Parkes (adpated article), Genevieve Eliany, Ian Stewart, Dr. Shiv Chopra, Jeffrey Smith, Heather Fraser, Michael Schmidt, Josh Gitalis, Meghan Telpner, Karen Selick, Patrick Holford, Rick DeSylva, Udo Erasmus and Dr. Robert Verkerk. Now available for download for a donation of $10. 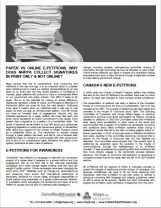 Paper vs ePetitions Update April 2016 handout that explains why the Charter for Health Freedom petition is paper and why it is not an online petition. 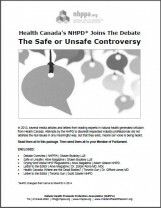 Health Canada’s NHPD Joins the Debate: Safe or Unsafe Controversy. 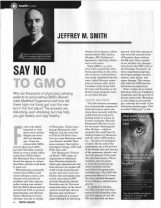 A collection of articles related to the debate started by Shawn Buckley’s article Safe or Unsafe published in Alive magazine’s December 2013 issue. Federal Double Standard. 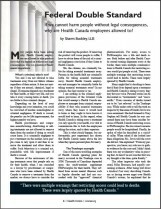 If we cannot harm people without legal consequences, why are Health Canada employees allowed to? by Shawn Buckley, published in HANS magazine Fall 2011. 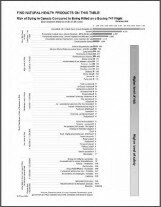 Ron Law’s analysis of comparative risk from NHPs, plus EU Risks of Dying Comparison Charts. A great conversation tool. 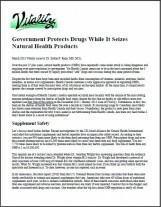 Read Shawn’s critical analysis about the DNA barcoding detection of contamination and fillers in natural health products (NHPs). 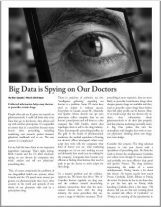 He questions the reliability of the original study referred to in this Fifth Estate episode, and the conclusions drawn by the Fifth Estate which seemed intent on creating fear and skeptism about NHPs. 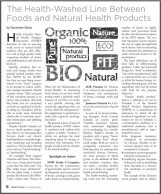 The Health-Washed Line Between Foods and Natural Health Products by Genevieve Eliany. 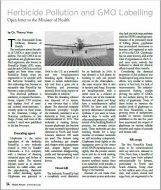 This article, published in the Fall 2014 edition of HANS magazine, highlights the growing trend in healthy food marketing and how Health Canada regulates the convoluted world of what marketing claims can be made for health benefits on packaging. 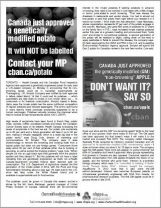 This article is a comprehensive account of the sheepnapping story in Ontario, where the actions of Canada Food Inspection Agency (CFIA) led to the destruction of 41 of Ms. Jones’ rare heritage sheep when they were suspected of having scrapie, despite negative live test results. In an effort to save the sheep they were moved to other farms and now Montana Jones, Michael Schmidt (raw milk activist) and two others are facing criminal charges. 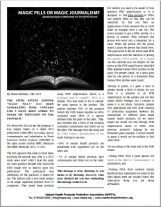 There is a current publication ban on the continuing court proceedings as of April 27, 2015. 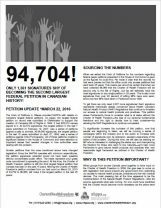 For further insight into the daily courtroom happenings read the website dedicated to this trial at www.Stand4Truth.ca where daily entries were reported on by NHPPA’s Vice President, Ian Stewart.